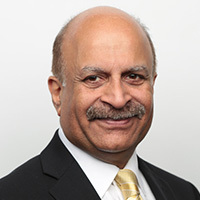 Raj Rajpal has been with Wells Fargo for over 25 years. He has closed over 15,000 real estate transactions and has been ranked in the top 1% of mortgage originators in the country, 20 years in a row. Raj regularly teaches homeownership and credit management classes to local minority groups, including school children, at local nonprofit organizations, churches and schools. For over 15 years he has had a call-in real estate radio program. Raj serves as the Secretary General of Finance for FIABCI International; he has chaired multiple international real-estate delegations and is a regular speaker and panelist at real estate and mortgage conferences in the US and abroad.